Junior Torey Andrews said she remembers wishing she had someone to help guide her through the journey of freshman year. Now she can be that helpful student for IU freshmen. 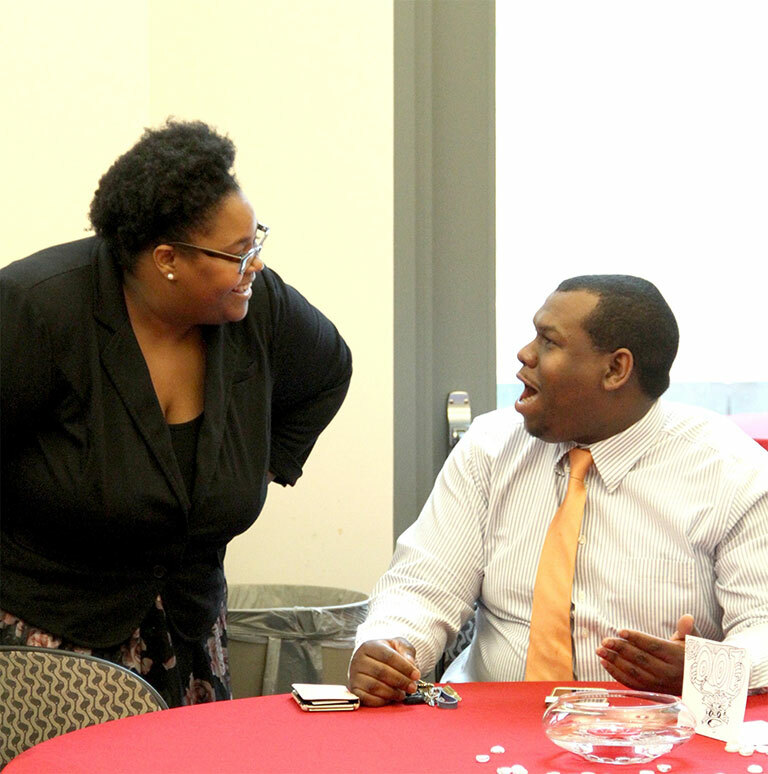 Through the creation of the Neal-Marshall Leadership Academy, first-year, first-semester black students are able to have an upperclassmen or graduate student mentor to help them navigate the waters of being an IU student, said Monica Johnson, director of the Neal-Marshall Black Culture Center. The academy of about 20 students focuses on making connections among peers and finding a personal leadership style. Freshman Johnnie Allensaid he enjoys being one of the first students to participate in the program. He said he joined the academy because he intends to become a leader on campus in the future. “I’ll be able to tell a lot of people that this is something they should be interested in as a freshman,” Allen said. Allen’s mentors and fellow freshmen help him on his journey to becoming a better leader. At monthly meetings, members participate in activities like leadership challenges and group games. Johnson said these activities are done to give the students real leadership experience. “We are trying to give them a crash course in how to do that, so when it’s time, they are ready to act on it,” Johnson said. An example of these activities occurred at the academy’s second meeting. On Sunday, small groups of freshmen and their mentors were given the challenge to come up with a concept for a nonprofit organization. They had to create all the components, including a mission statement and marketing strategy, of the organization. After about 20 minutes of discussion, the groups were given a twist on the challenge. They had to create a way to make the organization welcoming to a diverse group of students. Allen said he enjoyed the added challenge because he believes it simulates a real life situation. “Sometimes you may begin with an idea, but sometimes a challenge may come and make you change what you started with,” Allen said. The freshmen are given trifecta goals, which are a set of three goals for each month. The goals for students last month were to sit in the front of the classroom, introduce themselves to one of their professors and spend two hours studying in the Neal-Marshall Black Culture Center. This month students discussed their goals with their group and mentor. The current leadership academy is just one piece of future plans Johnson has for the Neal-Marshall Black Culture Center. Moving forward she said she hopes to have programs for sophomores, juniors and seniors as well. This first piece of the journey looks to give freshmen the tools they need to find their own specific leadership style. Johnson said she believes leadership is often talked about in general terms but the focus should be more on the individual. “The reality is the most effective leaders are leaders who learn to lead as themselves,” Johnson said. At the first meeting of the leadership academy, the students were given a form to fill out about their hopes and goals for the future. Johnson said her overall goal is for the students to be able to reflect on what they wrote down the road. “Success for me for this program would be having a student in the short term who sees themself as a sophomore in the direction that they want to be and who, as a senior, sees who they thought they would be and reconciles that with the beauty and reality of who they are,” Johnson said.